#876 Link to this post, but load the entire thread. August 24th, 2017 (11:47 AM). Edited August 24th, 2017 by Afterglow Ampharos. 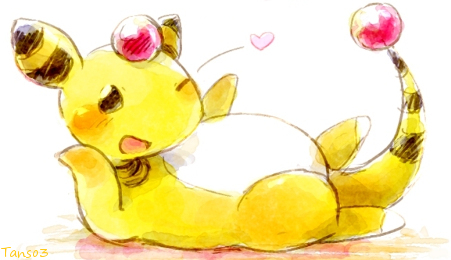 Ampharos are the ultimate kid's bed. They have a built in nightlight and everything. Why is my signature appearing with a vertical scroll bar now? It is only 350px tall, and previously it had no scroll bar. Something in the forum's formatting must have changed, because my signature did not change. Edit: Let me know if it has no scroll bar from where you're viewing, and what you're using to view. 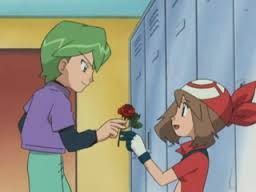 Huge fan of Pokémon-only roleplay! #877 Link to this post, but load the entire thread. September 10th, 2017 (9:16 PM). I think I might need to recheck my signature once more because I edited some part of the CSS (albeit minor) to fix some issues when seen in my profile. Is my siggy fine? #878 Link to this post, but load the entire thread. October 2nd, 2017 (4:46 PM). Just wanted to make sure this signature was okay. #879 Link to this post, but load the entire thread. October 2nd, 2017 (5:17 PM). Edited October 2nd, 2017 by colours. #880 Link to this post, but load the entire thread. January 10th, 2018 (5:03 AM). I found that my sig had a width of 620 px which is now reduced to 600 px but still can someone check it to make sure if it's fine? Credits to Ben for these Beautiful Templates! #881 Link to this post, but load the entire thread. January 10th, 2018 (7:12 AM). #882 Link to this post, but load the entire thread. January 13th, 2018 (7:38 PM). Edited January 13th, 2018 by VoltYellow. #883 Link to this post, but load the entire thread. February 13th, 2018 (9:21 PM). Edited February 13th, 2018 by Starry Windy. Mmkay, I've just tried another CSS sig. So I want to know, is this signature OK or not? #884 Link to this post, but load the entire thread. February 14th, 2018 (5:55 AM). #885 Link to this post, but load the entire thread. February 21st, 2018 (11:23 PM). #886 Link to this post, but load the entire thread. February 22nd, 2018 (6:41 AM). #887 Link to this post, but load the entire thread. April 10th, 2018 (6:12 PM). #888 Link to this post, but load the entire thread. April 10th, 2018 (9:45 PM). #889 Link to this post, but load the entire thread. May 5th, 2018 (9:14 AM). Edited May 5th, 2018 by Grumpy Gray. Is tweaking the "signature disabled" tag for fun against the rules? See my current signature as of 5/5/2018 for an example. I changed the disable reason to "too much swag" so that it said "too much swag" instead of "you broke x rule involving signatures." If that's against the rules, I'll remove the tag, since I changed my actual signature into something that doesn't violate signature rules. #890 Link to this post, but load the entire thread. May 5th, 2018 (11:24 AM). Edited May 5th, 2018 by Tsutarja. Do not use this tag for decoration purposes. So yes, it is against the rules to use the disable tag for your own purposes. #891 Link to this post, but load the entire thread. November 14th, 2018 (5:35 AM). Wanted to just make sure everything's all fine size wise. "I’m an angel keeping watch over the city at night...I’m the symbol this town needs." #892 Link to this post, but load the entire thread. November 14th, 2018 (7:07 AM). #893 Link to this post, but load the entire thread. January 24th, 2019 (10:33 AM). Can I get a check? Since mine uses the transform property, I'm a bit worried it might exceed 600px in width. I shaved it down to 580px to account for the 20 degree slant but I don't know if that... actually did anything. #894 Link to this post, but load the entire thread. January 24th, 2019 (10:44 AM). #895 Link to this post, but load the entire thread. January 24th, 2019 (10:45 AM). #896 Link to this post, but load the entire thread. March 16th, 2019 (8:47 PM). Say, is my sig okay? ._. #897 Link to this post, but load the entire thread. March 17th, 2019 (10:35 AM). Your signature is fine, my friend! #898 Link to this post, but load the entire thread. 1 Week Ago (6:29 PM). I just want to confirm that my signature is okay. I think it is, but I would like to be certain. Thank you. #899 Link to this post, but load the entire thread. 1 Week Ago (6:42 PM). #900 Link to this post, but load the entire thread. 1 Week Ago (9:03 AM). I saw in the rules that advertisement (such as linking to my YouTube Channel, I imagine) is allowed in signatures. I just want to be absolutely certain that my signature fits within the rules. Check out my YouTube Channel! RomHack Let's Plays and more!